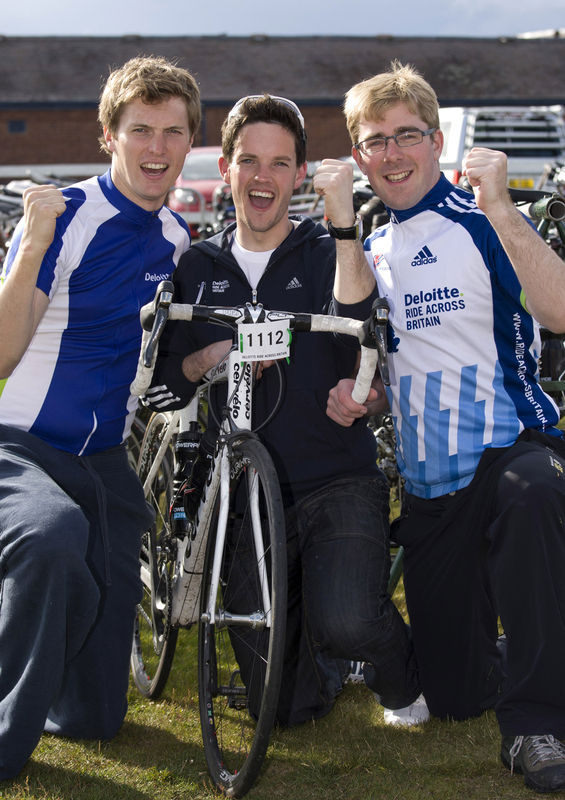 Three cyclists from Deloitte in Birmingham have successfully completed a 1,000 mile bike ride from John O’Groats to Land’s End. Ashley Hollinshead, Lindsay Buckenham and Ant Thomas joined hundreds of other cyclists as they crossed the finish line after nine days in the saddle. Olympic gold medallist James Cracknell led the 500 cyclists into Land’s End to complete the epic journey. The cyclists, which included Paralympic gold medallists Sarah Storey and Danny Crates, were taking part in the Deloitte Ride Across Britain to help raise money for ParalympicsGB. Staff and partners at business advisory firm Deloitte have raised £1million for charity in just one month. The money, which will be donated to the firm’s nominated charity partners, was raised from a series of events and activities, including the inaugural Deloitte Ride Across Britain from John O’Groats to Land’s End and the JP Morgan Chase Corporate Challenge in London. Jonathan Dodworth has been awarded the prestigious title of Young Chartered Accountant of the Year in the West Midlands. Jonathan, 34, a director at business advisory firm Deloitte, collected the award at the Institute of Chartered Accountants in England & Wales’ (ICAEW) annual awards, which was held at the Botanical Gardens on Monday 10 May. The future of serviced offices provider Your Space PLC, which has offices in Willenhall, in the Black Country, looks secure after the terms of a proposed company voluntary arrangement (CVA) were approved yesterday. Members and creditors of the Group, which includes Workspace (North West Limited) and Your Space (UK) Limited, overwhelmingly voted in favour of the CVA proposal.